When we hear these lines the first word comes in our mind is-India.Yes we are country with diverse culture,languages,religions,race and traditions.We have unity despite of so many differences.We differ on the basis of geographical and tropical conditions. We have deserts,mountains,plains and hills.Certain regions are favorable for agriculture while some are rich in fishing.Our food habits differ as per the are where we live. People who stay in coastal areas relish sea food. While living in plains prefer much of makka di roti and sarso ka saag. Every region have their staple food.People in south eat more of rice while people in north devour wheat.Outfits also depend as per the climatic condition. All the areas have their traditional attire and when we visit places we always make sure of carrying back souvenir. In addition to these parameters we all diverse emotionally,physically and psychologically. Some areas receive too much of rain while other are happy thinking about rain. But there are certain time when a calamity hit the place.This is what happened with Kerala. 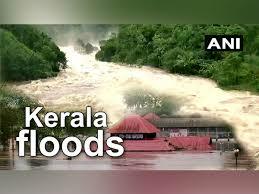 This year Kerala is hit by a disaster where they have received 3.5 times more rain than normal rain.Kerala got crashed by too much of rain and landslides.The rain is at their highest efficacy. Incessant rains have inundated floods.Many people have lost their homes,lives, cattle. The rivers are running above danger mark and the gates of all Dam were opened. This ultimately resulted in disaster.The death toll has crossed more than 400. 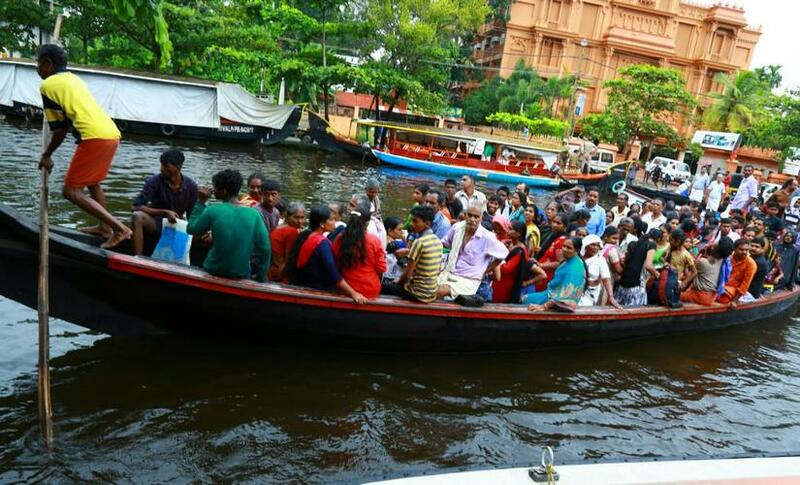 The tourism of Kerala is being crashed. 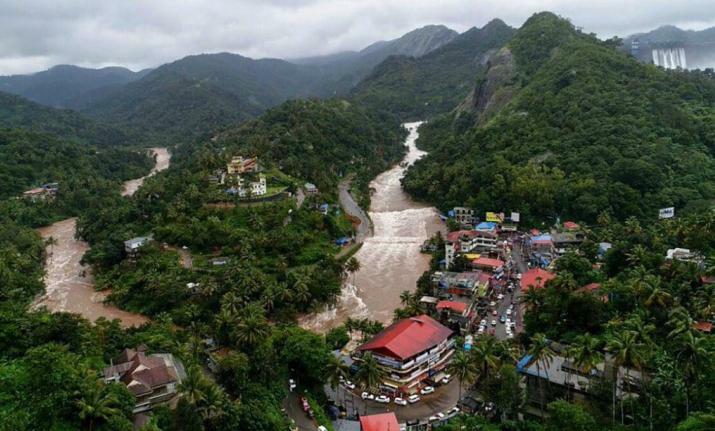 With all flight and hotel booking cancelled tourism is deeply affected.Also after the floods there is a possibility of Nipah virus which has also led to decrease in tourism.The rare flowers of Munnar hills, Nellakurinji has diminished a lot. This flower blooms only once in 12 year and due to landslide, the habitat of this flower has been affected too much. The same goes for many other spices, tea, rubber and other plantations. Idukki produces 12 important spices of the land like nutmeg, cardamom, pepper, turmeric and cinnamon. The harvest of all the spices have fallen down. The loss of spices and condiment harvest has been estimated around 600 crores, according to Ajit BK, secretary of association of planters of Kerala.Harvest is also affected deeply. I am sure it is going to take time for them to revive from this disaster.But when we live in India there is nothing to worry. We are sure we all will surely help them. In the darkest hour of this calamity the entire India has come together to help them.However we can help,everyone is making their best of effort.The people in Kerala are helping each other and carrying out rescue operations. All the celebrities and politicians are urging people to donate in Chief Minister Relief Fund.People from all cities are arranging bedsheets , food items, sanitary,clothes and medicines. The people in relief camps are being supported by our army and navy. Paytm,amazon,Zomato and other companies are coming forward to help the people in Kerala. No matter to what religion people belong , but at this hour people are standing united to help people in Kerala. A blanket merchant from Maharashtra donated his entire stock of blankets to the Kerala flood victims. IAS officers are carrying relief materials to flood affected areas. Indian Air Force is doing a commendable job in the transportation of relief material and Army personnel. Local fishermen are coming forward and helping the army in rescue operations. The volunteers, who reached Kochi on Friday, organised langar for the flood hit people. 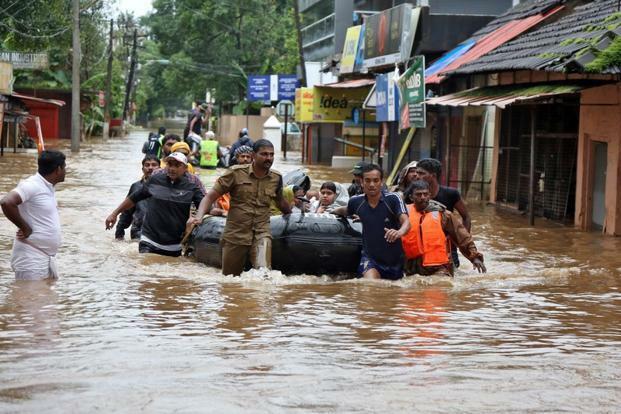 The Islamic Centre of India urged Muslims to donate 10 per cent of Eid budget to Kerala flood victims. Various donation camps have sprung up across the country in various cities like New Delhi, Mumbai, Chennai and Bengaluru. People are toiling through the day to collect and segregate funds for the flood-ravaged state which includes monetary relief as well as funds in form of supplies and stock. Indian Railways announced free transportation for relief material across to Kerala as well. It is really heartening to see how everyone is coming forward to help Kerala.I think this is the best example of Unity in Diversity.This sets the perfect example for everyone.How much ever we differ but when we need each other we are always there. I know you all are doing your bit to help them,If you have not started please help them!They need us!